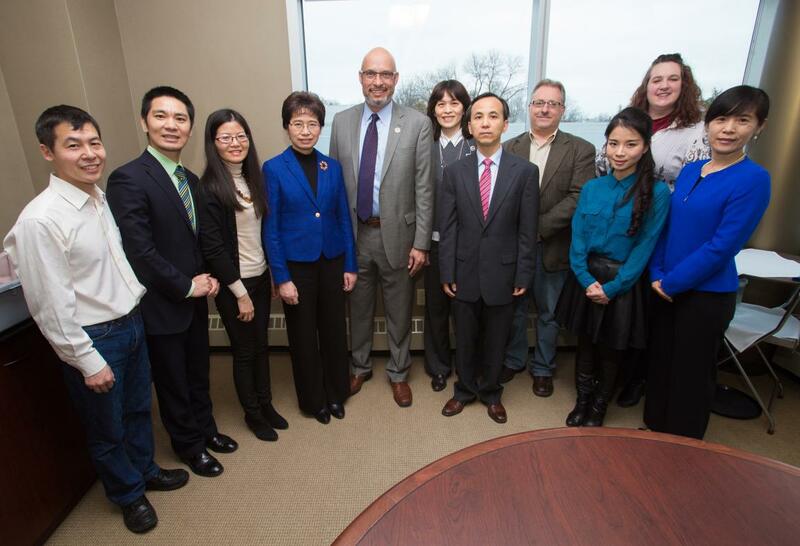 Mr. Liu Jun, Deputy Consul General,paid a visit to the University of Wisconsin-Platteville on February 19th. Mr. Liu met with Chancellor Dennis Shields, Chief Diversity Officer & Assistant Chancellor Jennifer DeCoste, Associate Dean Kory Wein and exchanged views and ideas on educational collaboration between UWP and China. Mr. Liu also visited the Confucius Institute, where he was welcomed by Director Mei Reeder and assistant Director Victor Yu and the staff. At the Institute Liu extended Chinese New Year’s greetings to and had a conversation with Chinese faculty members, visiting scholars and students. The Confucius Institute at the University of Wisconsin-Platteville, the only one in the State of Wisconsin, was established in 2008 and its partner on Chinese side is the South Central University for Nationalities. Counselor Qin Juhua, Chief of the Education Office, Consul Xu Shuhong and Consul Chen Hao accompanied Mr. Liu for the visit.